Bar mitzvahs and bat mitzvahs are all about the theme. For this bat mitzvah, the theme was I Dream of Jeannie. Bob Gail Events handled the decor and design for this event, with florals by Eddie Zaratsian at Tic-Tock Couture Florals. 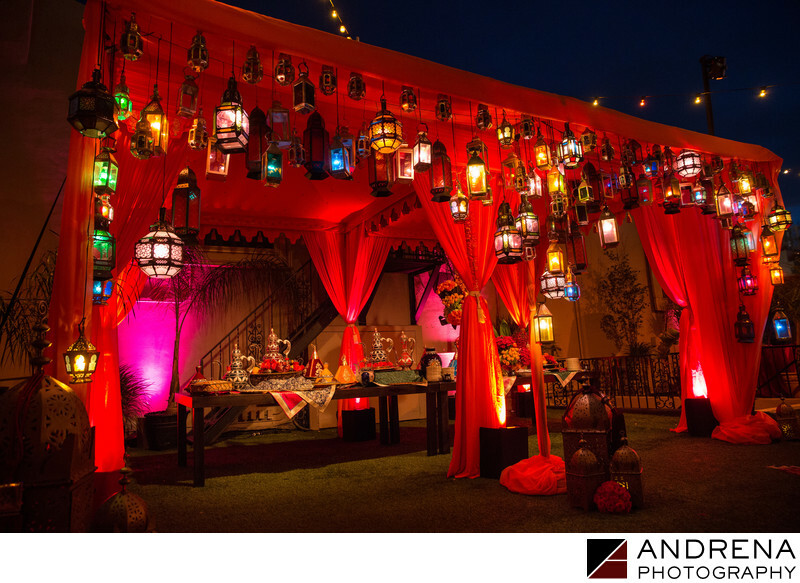 The Moroccan-style tent featured the kid's buffet, and was positioned on the rooftop terrace at the Henry Fonda Theatre. The adult buffet was in the ballroom, on the main level, downstairs. This tent was a fun way to separate the two menus.